Even the conservatives in the Bundestag – at least those willing to speak this morning in the session on refugees in the EU – acknowledged that Germany needs to do something about the “refugee problem”. And they did not sound hawkish. They spoke of the need to address the dreadful conditions at Lampedusa. “The” boat which sunk off the coast of Lampedusa on October 3rd, 2013 – a shipwreck in which about four hundred of the five to six hundred people traveling from North Africa to Italy – and the photos of that event, appeared to be the motivation of Merkel’s Union to act. 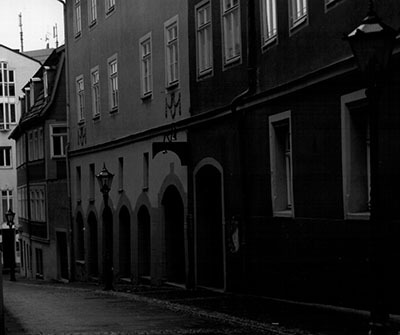 The reporting of that event has likely been instrumental in changing the discussion. 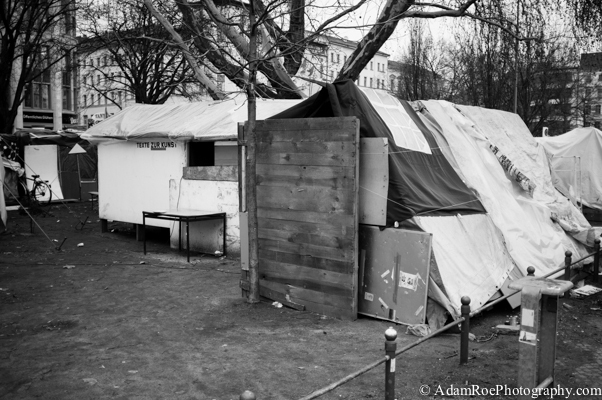 One of the sleeping places at Oranienplatz in Kreuzberg, Berlin, where refugees are camped out. But focus on this event alone, and frankly, on Lampedusa itself, has also dominated a discussion which has many more dimensions. One of the men at Oranienplatz, the year and a half old refugee camp in Berlin where refugees are camped out in a combination of lack of better choices and political protest, told me that about 100 of the 400 people on the boat he traveled on from Libya to Lampedusa died on the way. And his ship didn’t sink. This morning in the Bundestag, the necessity to act seemed to be more of a generic progressive, humanitarian need for members of the SPD (Social Democrats) and Grüne (Green Party). It was members of these parties who spoke of their experiences having actually visited the camps. 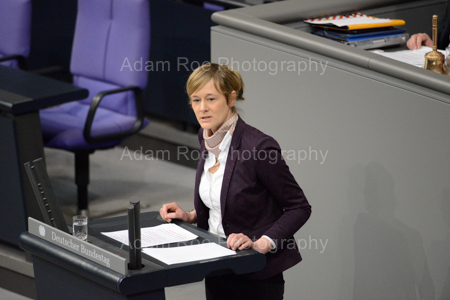 Christina Kampman (SPD) gave her first speech at the Bundestag on the necessity for reform. And Die Linke (The Left) appealed to ethics: that we know what is going on, people are dying. 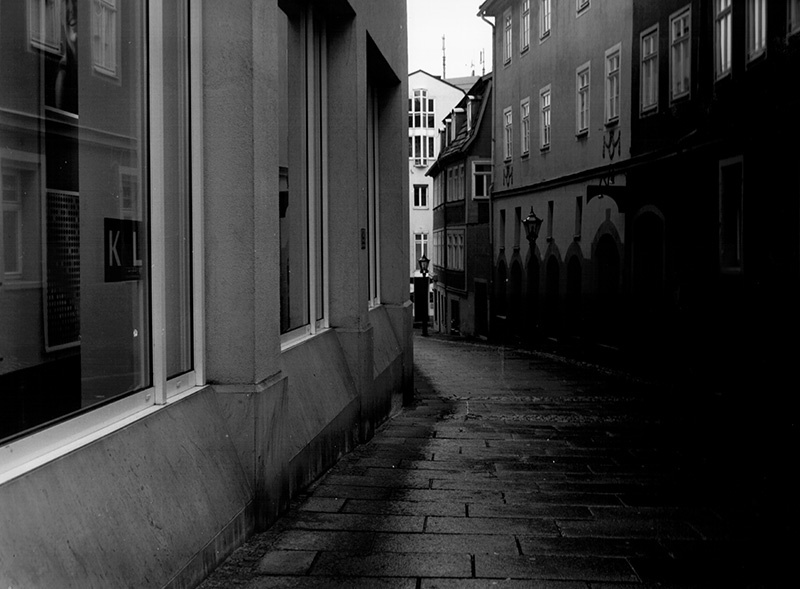 Money is flowing to “Festung Europa” – The Fortress of Europe – but not to people who need it. The Mediterranean is thoroughly monitored, the argument goes, and therefore we know where the boats are but do not help when they are sinking – and thus bear part of the responsibility for the deaths of people attempting to escape. 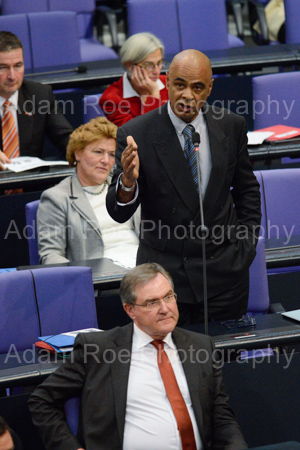 Indeed, the discussion happened today because Die Linke, about half of this Bundestag’s meager opposition, proposed it. They chose strong words to label the request: “Das Massensterben von Flüchtlingen an den EU-Außengrenzen beenden – Für eine offene, solidarische und humane Flüchtlingspolitik der Europäischen Union”, that is, “End the mass dying of refugees at the outer borders of the EU: for an open and humane refugee politic of the EU”. Karl-Heinz Huber (CDU/CSU) questions Ulla Jelpke (Linke) on wether or not they would accept a differentiation between migrants and asylum seeker. It is hard to disagree with much of was said today. The question is what will be done. We heard today that the solution is to better the situation in Africa, with varying amounts of feeling of responsibility the situation. We heard that Europe and Germany need to help Italy and Greece. From others, that Germany is just as responsible as Italy because this is a European question. That people should be able to get a visa which allows them to travel to a country in Europe where they have family, roots, or a common language. That language courses have to be made available. 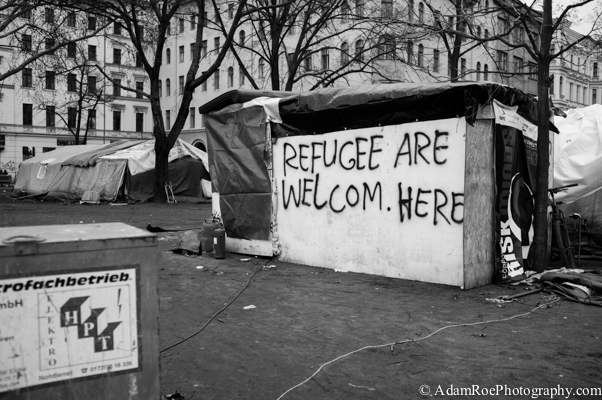 That there is an office in Europe that deals with securing borders but none for helping refugees. 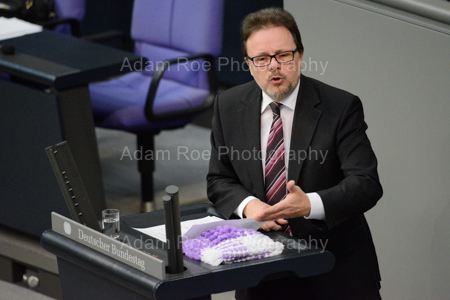 Frank Heinrich (CDU/CSU) thanked the opposition Linke for bringing up the issue of refugees. The progress I can report on is that the discussion took place, and did not suffer from navel-gazing. Nobody said that it is not “our” problem. A few conservatives claimed that we are doing enough already. But nobody stood up and said, “This is Italy’s problem” or “This is Africa’s problem”. Baby steps. 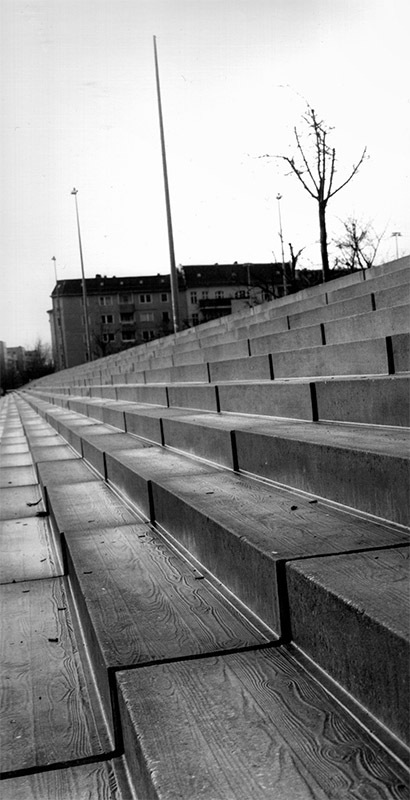 There was also very little discussion of specific situations – like Oranienplatz – within Germany. Again, it is very hard to disagree with anything that was said. But the question remains what Europe will do and how Germany, in its unique historical and economic role in Europe, will help to shape that discussion and move forward. 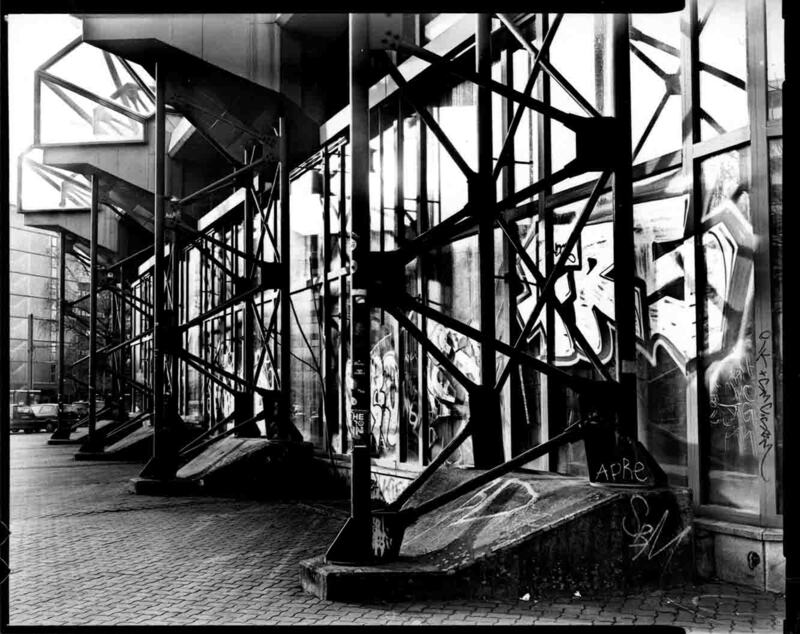 This entry was posted in berlin, politics, press on January 17, 2014 by AdamRoePhotography.